Hurricane Michael recently struck Florida’s panhandle as a devastating category 4 storm packing 155mph winds. Barely a month earlier, Hurricane Florence flooded North Carolina when the category 1 storm slowly washed over that state on Sept. 14. In either case, these hurricanes changed coastlines as beaches and dunes were overrun by waves, or in some cases, completely eroded. 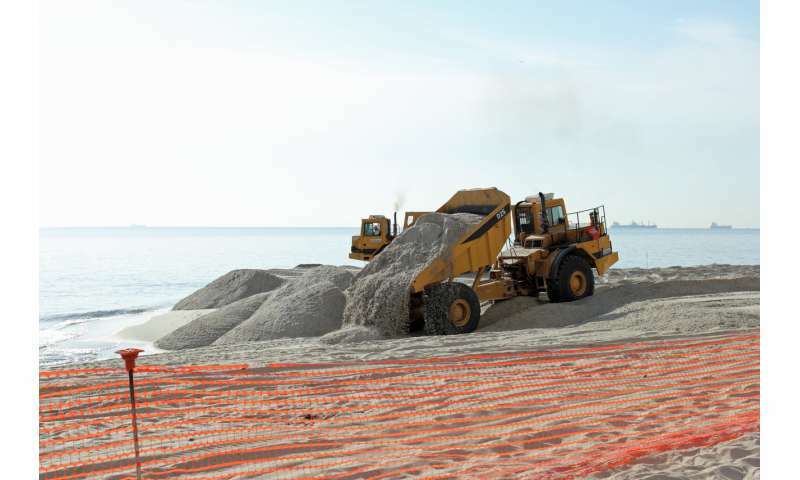 Typically, recovery plans call for large-scale beach nourishment and dune construction to protect areas behind the beach from future erosion and flooding. A study by Florida International University coastal geologist Randall Parkinson suggests this practice will become even costlier and more controversial as the availability of sand dwindles.